Comments: This slow growing, dwarf shrub has apricot colored leaves in early spring. 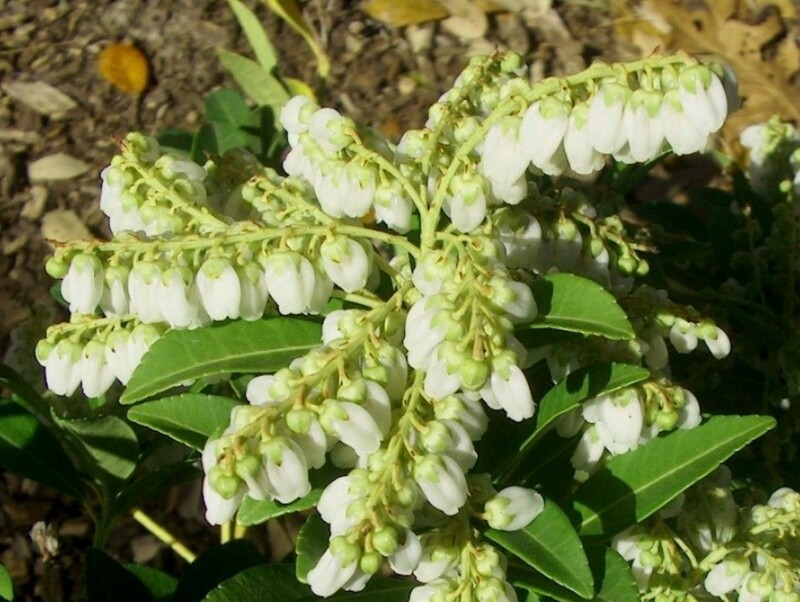 A profusion of dainty, white flowers, fragrant blooms and interesting brown fruit arranged like beads on a string, and clean neat evergreen foliage are wonderful attributes of pieris. It is excellent for woodland gardens, in a container, and in the shade garden. Drying out or standing in water is extremely damaging to pieris.